Grub damage is by far the most common type of damage sustained in turf grasses throughout the United States. Customers who choose to add grub control to their scheduled services will receive it along with control of all turf feeding and subsurface feeding insects. 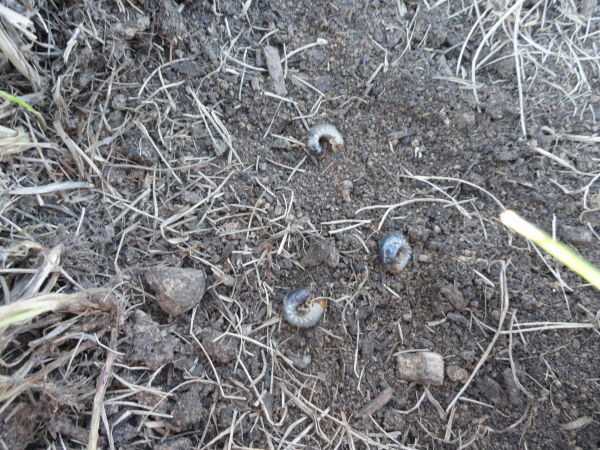 White grubs and many other subsurface feeding insects usually go unnoticed until the results of their feeding on the root system in your lawn are observed in late August and into early fall. An active population can easily destroy your lawn in a very short period of time. In addition to these subsurface feeding insects causing damage themselves, their presence tends to attract animals, such as birds, mice, rats, gophers, groundhogs, raccoons and skunks, who love to feed on an active grub population; ultimately, causing even further damage to your lawn.